Tudor Barn is a truly unique venue holding the distinction of being the only existing Tudor Barn in London. The Tudor Barn is situated in heart of the Well Hall Pleasaunce, with good transport links from Central London and Kent. The location of this venue allows for road access via the A2 and is just a short walk from Eltham Station. Tudor Barn is surrounded exquisitely by thirteen acres of parkland and a medieval moa. It is the perfect location for team building and team development events, weddings, parties and corporate events. 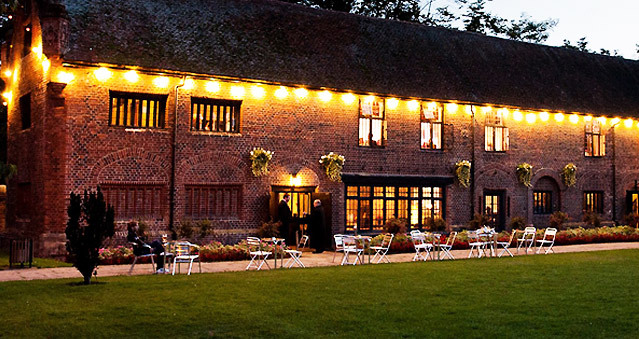 The Tudor Barn Gallery hosts events in an evergreen manner, all year round, from small intimate team building events of 40 to large parties for team development up to 250. The notorious Tudor Barn dates back to the 16th century, making it a true hidden gem in Royal Greenwich. Ideal for: The Killing, Around the World, Stocks in the City, Mixology, Real Life Clu’Doo, Escape the Box, The Haka Experience, Murder Mysteries, Ipad Movie Making and much more!